Lynn and I have had a bit of a Southern flavored summer first experiencing and enjoying the Bloody Mary mix out of Charleston. Now, we have had the chance to try out some of the offerings of Jack Rudy's brand. One of our favorites from this (again) Charleston based company has been its sublime small batch tonic. This offering has been a perfect mix for our vodka and gin tonics (mixed with seltzer-the tonic is a concentrate). We have also experimented with it by dropping a cap full it into martinis or into a "neat" vodka or gin shot which results in a refreshing jolt of pleasantly bitter orange peel and lemon grass into an otherwise predictable drink. The Jack Rudy company makes a number of artisinal cocktail offerings and we look forward to trying the entire line before the summer is over. Lynn and I swung through Upstate on July 4th weekend and happened through Kingston which we very much enjoyed and look forward to visiting again. 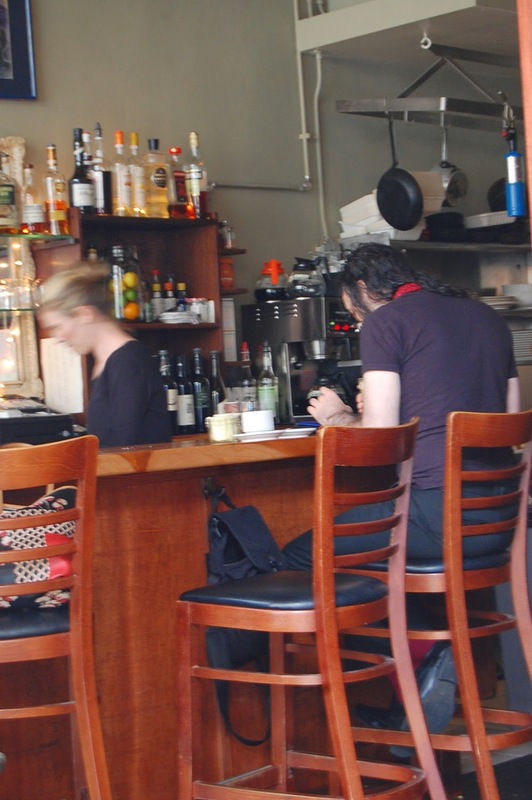 While there we happened upon a wonderful bistro called Duo which Lynn had plucked out of thin air courtesy of her smart phone search. It was a very late lunch for us and we were starving. Everything was really amazing from the chic wear and tear of the decor to the service which was charming and efficient. The drinks really made an impression on us. I played it safe and ordered an "extra dirty" martini with Tito's vodka. Lynn, often more adventurous in these things ordered a drink with Campari, soda and muddled blueberries (appropriate in particular for July 4th). Our fetching bartender came over to check on us and we asked her a couple of questions about our drinks but mainly complimented her mixology talents. Back to the starving part; Lynn had a savory, decadent BLT with pesto and homemade bread. 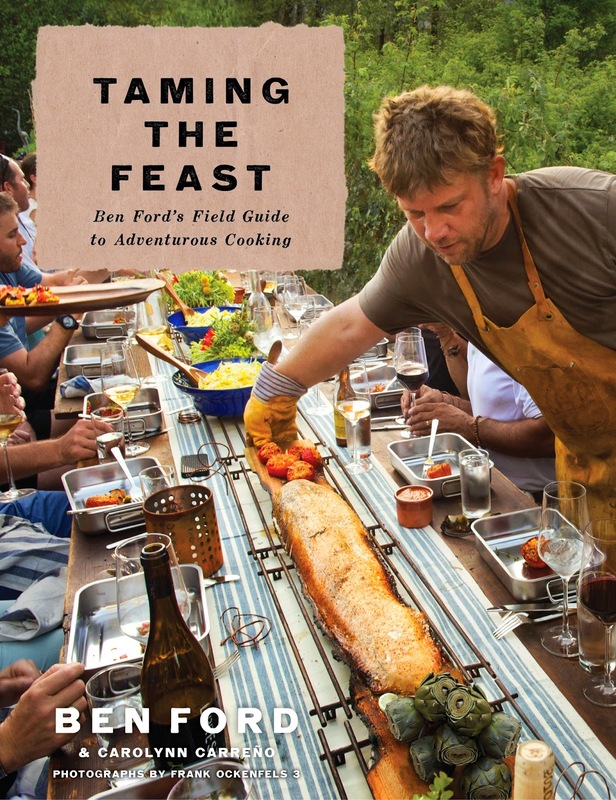 Chef Ben Ford’s recent book Taming the Feast (Atria) is easily the best and most inspirational cookbook we have seen this year. This volume is a great venture point for alpha males who love to cook (and especially grill) to take their usual summer grilling routine to the next level. Indeed, Chef Ford transforms cooking/grilling into an adventure sport (as befits the son of Harrison Ford). In Mr. Ford’s thoughtful introduction he connects his father’s early experience as a professional carpenter to his own interest in putting together “feasts” that have a structure and generate a sense of theatricality. The book itself is very artful with great diagrams, illustrations and instructions to aid in generating Chef Ford’s projects. Some of these projects take on the air of a medieval feast with fairly elaborate time lines starting as much as a month beforehand. 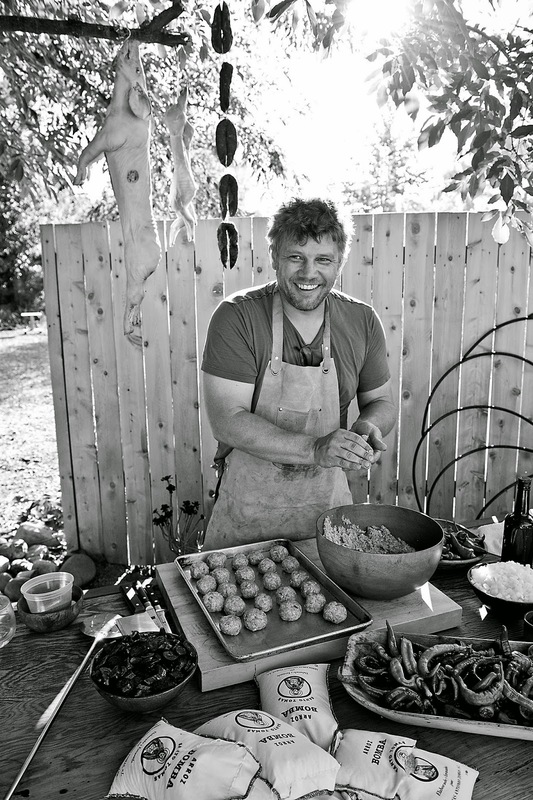 Some of Chef Ford’s endeavors are jaw dropping affairs such as the “Southland Barrel Clambake” which involves gathering river stones, seaweed and municipal permits (if applicable) and a used wine barrel. Other affairs in the book are more modest and can be applied to everyday grilling such as the use of cedar planks in grilling and some interesting combinations for the grill such as bacon and dates. Marketed as a summer book, Ford’s book nonetheless functions as a great manual for year round grilling. 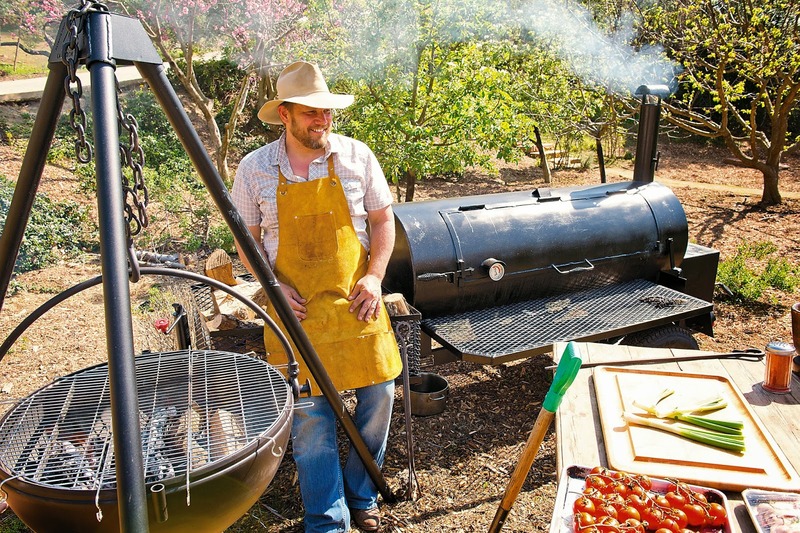 And, for us it functions as a kind of aspirational volume for a kind of brawny, Hemingwayesque approach to food and grilling that is particularly refreshing. Get this guy a Food or Cooking Channel show! All Photos Copyright (c) 2014 by Ben Ford from TAMING THE FEAST published by Atria Books, a division of Simon & Schuster, Inc.